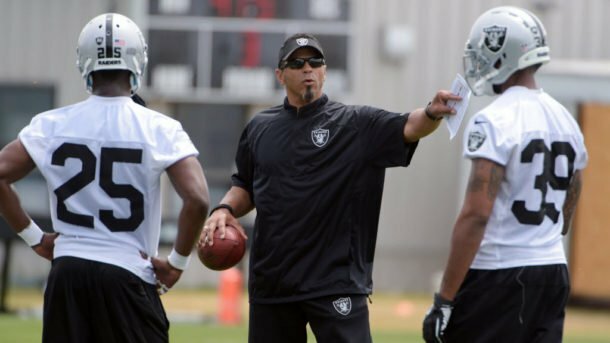 Two years ago, former NFL cornerback Rod Woodson put up for auction national awards he’s received in his career, including his Pro Football Hall of Fame ring, his Super Bowl XXXVII ring and his 75th Anniversary All-Time Team trophy. One thing that didn’t go up for sale was a yellowed copy of the 1982 American Family Insurance ALL-USA High School Football team, the first one published by USA TODAY, what was then a new national paper. His senior year at Snider High in Fort Wayne, Woodson was named All-State at defensive back and running back and made the first ALL-USA high school football team as a first-team defensive back. This year is the 35th that USA TODAY has selected an ALL-USA football team for high school. The first school year of 1982-83, USA TODAY carried ALL-USA teams for football and boys and girls basketball. The ALL-USA franchise has since added teams in baseball, track and field, boys and girls soccer, boys and girls golf, volleyball, softball, boys and girls lacrosse, boys and girls ice hockey and wrestling. Football came first, though, as the first ALL-USA basketball teams didn’t appear until 1983. That first ALL-USA football team included Woodson, who would go on to be an 11-time Pro Bowl player and a Pro Football Hall of Fame selection, and 14 other players who would go on to play in the NFL. In the years since, the ALL-USA teams have included five future Pro Football Hall of Fame players, five Heisman Trophy winners and scores of All-Pros. Not everyone who makes the ALL-USA team has gone on to success. Injuries derailed more than a few careers, while legal woes stopped others, such as former SMU running back Jeff Evans, Southern Cal quarterback Todd Marinovich and Ohio State running back Maurice Clarett. There have been several ALL-USA football players who went on to careers in other sports, including the 2000 ALL-USA Offensive Player of the Year, Cretin-Derham Hall (St. Paul, Minn.) quarterback Joe Mauer, who became a five-time All-Star catcher with the Minnesota Twins. Woodson said that figuring out who will succeed at the next level is never a sure thing. Veteran sportswriter Dave Krider selected the ALL-USA teams the first 18 years, using a variety of sources, including high school and college coaches and recruiting analyst Tom Lemming, who still consults on the ALL-USA teams. Krider said his first monthly phone bill when he started working with USA TODAY was $400 in 1982. Lemming said he still remembers the reaction of the players when they would learn they were named ALL-USA. Mark Stepnoski was a five-time Pro Bowl offensive lineman in the NFL, but in 1984, he was a standout lineman for Cathedral Prep (Erie, Pa.). Then, as now, not everyone agreed with the selections.